The webmaster would like to gratefully thank Mrs. Angelica Avcikurt for translating from the original Italian & Spanish the inspiring and informative passages below. May God reward her for her efforts. 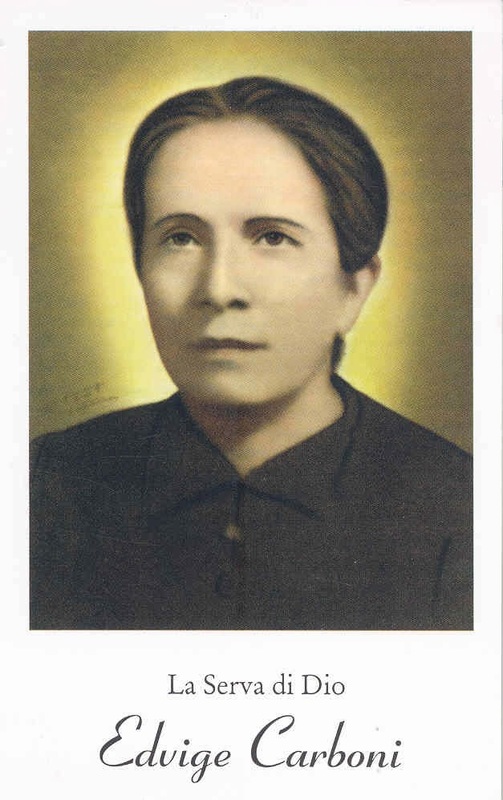 ***Update: On November 8, 2018 Pope Francis approved the miracle attributed to the intercession of the Venerable Servant of God, Edvige Carboni, thereby giving the green light for the beatification of this extraordinary mystic. 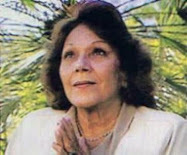 Edvige Carboni was an extraordinary mystic. She spent her life between the natural and the supernatural; between the human and the divine. Her interaction with the supernatural world was an almost daily occurrence. Jesus, Mary and the saints appeared to her constantly. 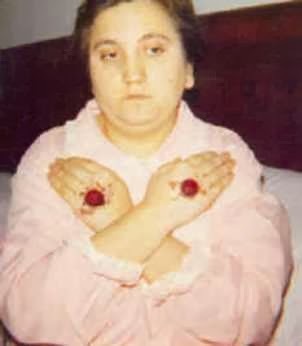 She also received the stigmata, and had many other spiritual gifts such as ecstasies, bilocation, levitation, reading of hearts, discernment of spirits and frequent visits from souls in purgatory. Edvige was a lay woman who lived with her family and spent the last years of her life living with her sister Paulina in Rome. She lived a life of charity helping the needy, visiting the sick, and praying and suffering for the conversion of sinners and the souls in Purgatory. She only finished third grade. Since her mother was very ill, she would send Edvige to do the grocery shopping at night. Edvige always obeyed her parents but felt afraid of walking alone late at night. Once, she saw her guardian angel who told her, “Don’t be afraid. I am with you and I keep you good company.” She said the angel waited for her outside the store and then walked her back home and disappeared. “No,”she answered. “I am St. Luis Gonzaga. 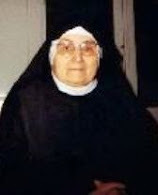 I have come to tell you that I love you very much and that you should love Jesus always.” Edvige said that St. Luis Gonzaga has appeared to her many times to teach her how to pray. 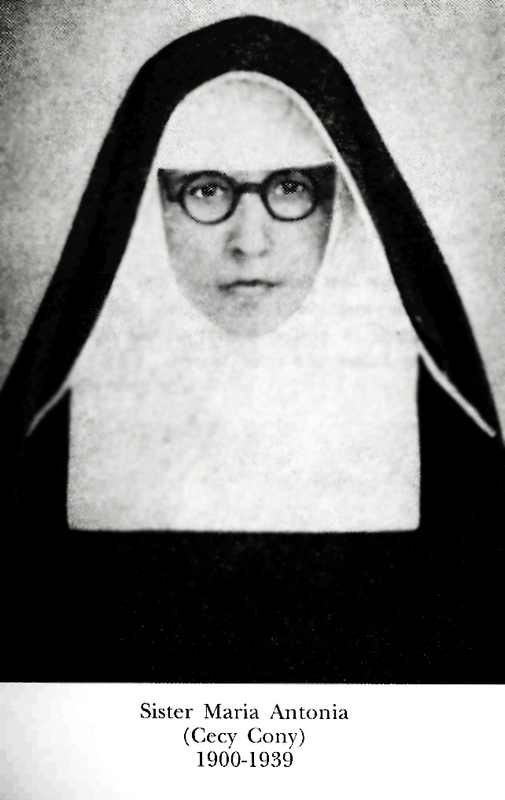 At the age of fifteen, Edvige wanted to become a nun, but her mother did not let her. She accepted this as if it were the Will of God. That same year, her sister Paulina was born. Up to then Edvige had only brothers, so she had to help her mother with the housework and also take care of her ailing grandmother. After the age of sixteen, the appearance of Jesus, Mary, the saints and the angels became more frequent. “Daughter, Jesus has given me the task of finding victim souls to repair for so many offenses that He constantly receives, especially because of immodest fashion, and for there to be peace among nations. Daughter, after looking for a while, I found you and Gracia. Those two crosses will be one for you and one for her” (Dairy June 12, 1941). 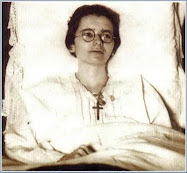 Gracia was one of Edvige’s close friends, who at the age of 33 consecrated herself to Jesus and offered herself as a victim soul in order to obtain peace during WWII. It is not clear how old she was when she received the stigmata. She recalls being about 29 and her spiritual director thought it was when she was around the age of 33. Flora Argenti testified that she saw the skin on the part of Edvige’s heart burned and blistered and that an intense heat could be felt. She had night shirts with burnt marks around her heart. Once, Edvige saw in a vision that the devil was infuriated and took her “Diary” and wanted to throw it out the window.When she woke up, she found it near the window slightly burned. To prevent this from happening in the future, Mons. Massimi blessed the “Diary” and gave them a box with relics in which to keep it. Whenever Edvige was on the way to see Fr. 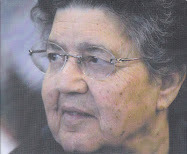 Ignacio (her last spiritual director), the devil hit her hard and kicked her legs so that she would not be able to walk. This also happened when she went to other confessors. Edvige, however, even if she had to limp managed to continue and Satan was defeated. The devil made her suffer in many ways. Sometimes he would break her dishes, mirrors or glass windows. He would undo her knitting and hit or scratch her. Once he even took the gold fillings from her teeth. On another occasion she had to stay in bed for a while because the devil hit her on the knee with a hammer. In 1929 things changed in Edvige’s life. Her sister Paulina who was a teacher found a job and was sent to a school in MarcellinaScalo, a town between Rome and Tivoli. Edvige’s father did not want Paulina to live alone so the whole family moved from Sardinia. For the next 23 years until her death, Edvige would live on the mainland. The last 14 years of her life she spent in Rome. 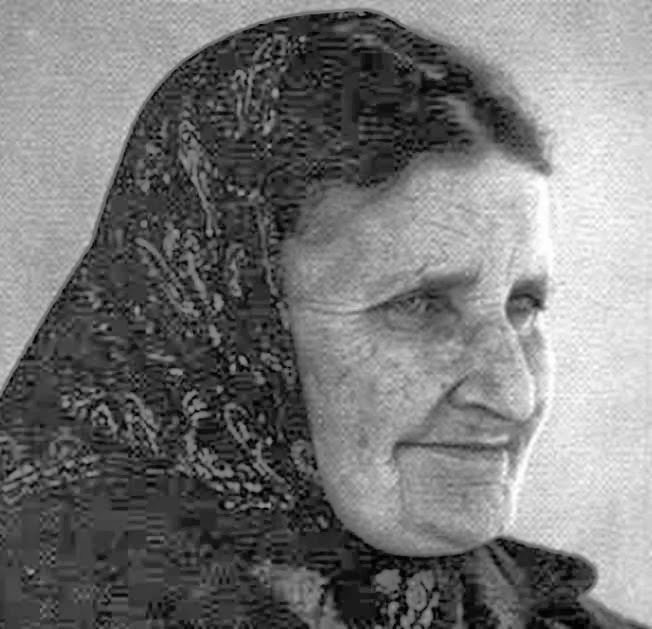 In MarcellinaScalo, Edvige took care of her father and taught catechism. She asked Jesus to hide the stigmata in her hands so she could work and Jesus acquiesced to her humble request. In 1932 Paulina was transferred to Agosta and then to La Forma. In La Forma, Edvige continued teaching catechism and embroidery to some girls. In 1934 they moved to Albano Laziale. In 1937 their father, Giovanni Battista Carboni, died. They said that when he died his emaciated face became beautiful. He had led a very holy life. A year after this, Edvige and Paulina moved to Rome permanently. They moved near the Salesian Church named Mary Help of Christians. 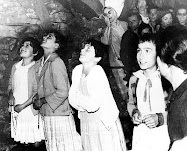 In 1940 in Rome she met VitaliaScodina who became one of her closest friends and a witness to the supernatural graces that Edvige was enjoying. Edvige lived a life of penance and charity. 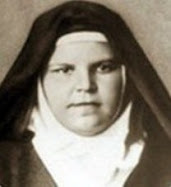 She did not perform great acts of penance like other saints but she patiently accepted discomfort, sufferings and persecution from people who considered her to be crazy or a seer. She often fasted and generally only ate a piece of bread for breakfast and dinner. Vitalia, her friend, says that one day during the war she found Edvige baking bread made out of flour and ashes because they did not have anything else to eat. Because of eating ashes, Edvige got a stomach ulcer which Jesus later on cured miraculously. Edvige had enrolled in many confraternities since she was young. She belonged to the Daughters of Mary in Pozzomaggiore. 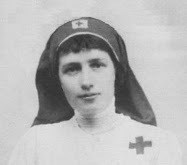 She also became a Third Order Franciscan in 1906. She belonged to an Association called Friends of St. Therese of the Child Jesus. From 1941 on she joined the Confraternity of the Passion at Scala Santa (The Holy Stairs) in Rome. This is where she met Passionist priest, Fr. Ignacio Parmeggiani, who was her spiritual director from that time until her death. 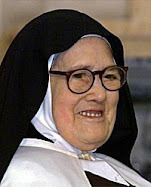 She also had a special relation with the Salesians in Rome since she lived near their Church, Mary Help of Christians. Here is where she used to go to Mass daily and had many visions, including visions of St. Bosco and St. Dominc Savio. 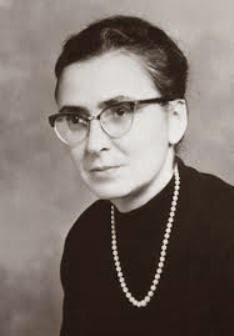 In fact, St. Bosco himself invited her to enroll as a Salesian Helper on September 25, 1941. Edvige demonstrated to have supernatural knowledge and the gift of reading hearts. Constantina Sanna says that she took her mother to see Edvige because she was worried about her son, Salvatore, who was in the war and they had not received any news from him. 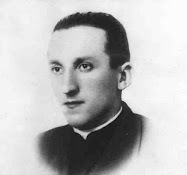 Edvige prayed for a while and then told Constantina’s mother that her son Salvatore was fine and that they would receive a letter from him in two days. She also told them where he was at that moment. Two days later, the letter arrived confirming all that Edvige had said. During WWI Edvige would go in bilocation frequently to the battlefield and then she would bring back news about soldiers who had disappeared or died. She told Fr. Carta about the death of Luigi Meloni, a young soldier who was believed to be lost in war. 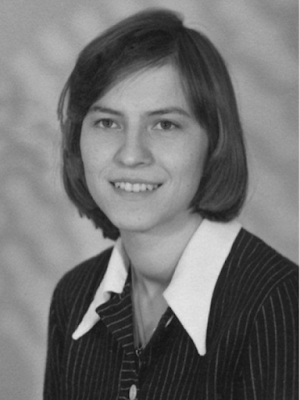 Edvige foretold who the next Pope would be to her spiritual director, Rev. Carta. With the election of Pope Benedict XV in 1914 her prediction was confirmed. 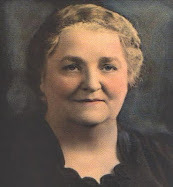 She also predicted the election of Pope Pius XI. 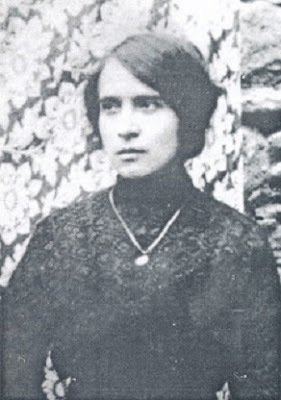 She likewise predicted the softening of the Passionist Rule, which took place nine years later. This was revealed to her by the founder of the Passionists, St. Paul of the Cross who appeared to her. While her sister Paulina was away studying, Rafaela Piu, a friend of Edvige’s used to keep her company at night. On night, she woke up and found Edvige knelt before the Crucifix in ecstatic prayer. The room was filled with a strong blinding light. Adela Ianucci also witnessed this when she was a child. She saw Edvige praying in the midst of a bright light in which figures of angels and saints moved about. Many times during her life, Edvigereceived Holy Communion from Jesus himself or from a saint. Her friend Vitalia says that several times she found Edvige in prayer with a host on her tongue and could not explain how it got there. Paulina said that one morning when she woke up, she found Edvige in ecstasy with a Host on her tongue. She later asked her about it and Edvige told her that St. Paul of the Cross along with two other Passionists (St Gabriel of the Sorrowful Mother and Nicolini) had come to give it to her. Other times she received Communion from St. John Bosco, St. Dominic Savio, St. Vincenzo Strambi and others. Her friend Vitalia says that Edvige could see her Angel who would make their beds when she was ill. The Angel also used to help her wash the clothes she needed to get ready. Even Jesus himself one day came to help her wash and dry the clothes. She told Paulina and Vitalia that Jesus had pretended to wash the clothes but that He had not touched it. He commanded it and the clothes became white and folded. Since she was five years old, Edvige had seen the Virgin Mary come to life from a painting at her grandmother’s house. Throughout her life, the Virgin Mary appeared to her many times telling her to love Jesus, to offer her sufferings and to pray the Rosary for sinners. 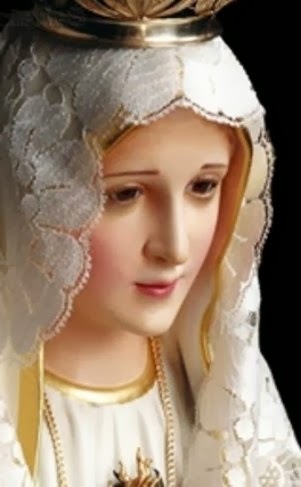 The Virgin Mary also taught her another beautiful little prayer: “Madonna of Love, Holy Virgin, help me become a saint, because you can do it and you want it.” In Italian it rhymes. Edvige was frequently visited by saints.We have already mentioned episodes with St. John Bosco, St. Dominic Savio, St. Paul of the Cross and St. Sebastian, but there were many others. St. Sebastian: Edvige loved St, Sebastian and received many revelations and help from him. He appeared many times in her room to give her advice and exhort her to be humble and to lead a holy life. He usually appeared to her on his feast day. When her spiritual director, Mons. Vitalis died, St. Sebastian told her that he would be her director. 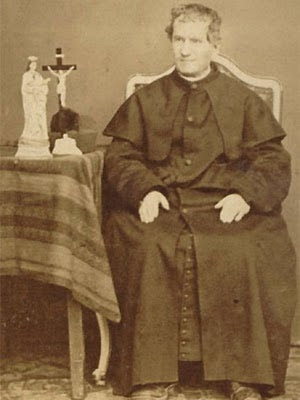 St. Genaro: In 1951 Edvige bought a statue of St. Genaro in Naples. This saint would tell her: “Courage Edvige. I was also a martyr like you.” One day Flora Argenti was sad and when she was leaving Edvige’s house found the statue of St. Genaro at her feet. Edvige told her friend that St. Genaro wanted to console her. St. Rita of Cascia: During a pilgrimage to the Shrine of St. Rita of Cascia, Edvige went into ecstasy. Her friend Vitalia saw her and at the same time smelled a horrible stench. When Edvige came out of the ecstasy she told Vitalia that the stench was coming from the people visiting the Shrine that were not worthy to be there. St. Rita had told her that only their presence had been pleasing to her. When she woke up there were five fragrant rose petals on Paulina’s bed and three on mine. The perfume was heavenly. 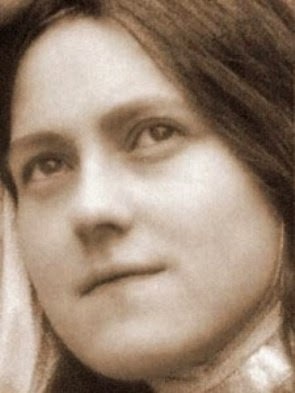 On September 1943 Edvige wrote in her diary: “I dreamt with St. Therese. She has a bouquet of white roses in her hand. She threw the petals on my sister’s bed. On each petal the words “Hail Mary” were written in red. There were about 50. Then she collected them again and said to Paulina, ‘If every day you say so many Hail Mary’s with devotion and perseverance, after your death, on your tomb there will bloom a flower with petals inscribed with the words ‘Hail Mary’. 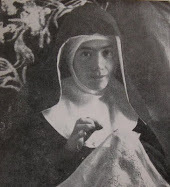 St Catherine of Siena: On April 9, 1950, Edvige went on pilgrimage to the Shrine of St. Catherine in Siena. After Holy Communion, she saw St. Catherine who approached her all dressed in white and said: “My sister. Become saints. Become saints. Time is short! I wish Pauline were less scrupulous.” Then she caressed Edvige and disappeared. Jesus, the Virgin Mary and the saints very often provided Edvige with material things she needed, especially during WWII. Jesus gave her some shoes and a skirt. St. John Bosco once brought her half a Kilo of rice and St. Dominic Savio brought her coffee. Edvige had visions of people who had gone to hell, of souls who were in purgatory and requested her help; and of souls who entered heaven. 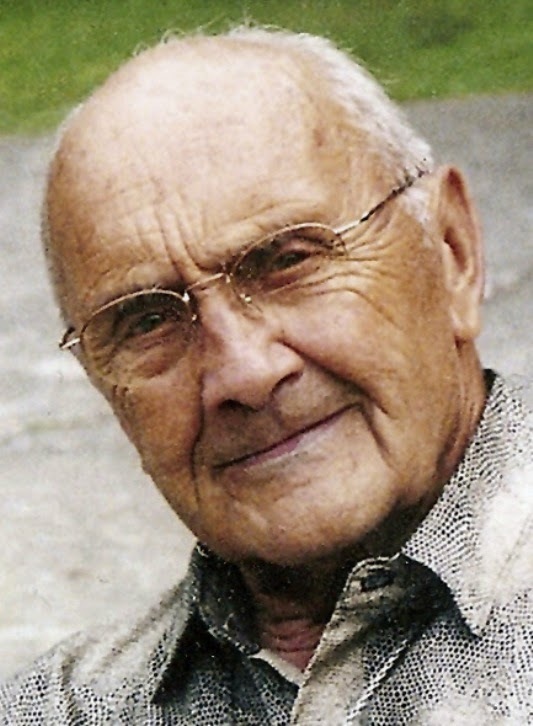 Vitalia states: “There was a young man who lived in Edvige’s building. He never listened to her advice to repent. He was a nonbeliever and died suddenly from an electric shock in his place of work. They had enough time to take him to the hospital, but when he was there he rejected the priest and the sacraments. One day Edvige saw him surrounded by flames, condemned. He was cursing her and reproached her for not having prayed more for him. Jesus consoled Edvige, telling her that He had mercy on this man by sending him a priest, but that he had rejected him." There was another case of a man who was leading an honest life but who would never receive the sacraments. 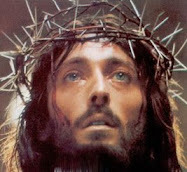 Jesus told Edvige to write to this man and tell him that unless he changed his way of life, he would be punished. The man did not want to repent and later on, Jesus let Edvige know that he also had been condemned. 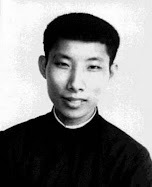 A well-known case was that of a priest who during WWII would give conferences denying the real presence of Jesus in the Eucharist at a University in Rome. After his death, he appeared to Edvige who used to pray for him. He told her that he had been condemned because of the books he had written against the faith and because of the scandal he had caused. To prove to Edvige that this was not her imagination, the priest picked up a book in her room and upon his touching it, it was completely burned. The Virgin Mary told Edvige that her aunt was in purgatory because many times she had skipped Mass on Holy Days of obligation. Her brother, Giorgino also appeared to Edvige and told her that he was in purgatory and had to remain there for eight years. He asked for prayers and took her hand when he said goodbye, leaving her a scar from the burn that lasted until her death. On All Souls Day, Edvige would be filled with joy as she contemplated long lines of souls who came to thank her for her prayers as they entered Heaven. In 1923, her friend Mercedes Farci died at the age of 28 from TB. 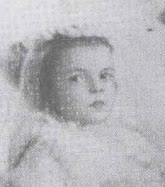 A few days after her death, Mercedes appeared to Edvige dressed in white and told her that she was enjoying the presence of God and the joys of Heaven. Paulina called the doctor and also the priests from their parish Mary Help of Christians. Two priests came and gave her the last rites. She passed away that same night at 10:30pm from angina pectoris, a lack of blood flow to her heart. 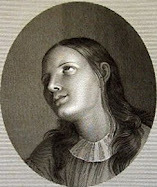 She had a reputation of sanctity when she died and many people already testify to miracles she was wrought after her death. Lord Jesus, with faith we turn to You, remembering the words: “Look and you will find, ask and it will be given unto you, knock and it will be opened.” Deign to glorify on Earth, Your faithful servant Edvige Carboni and through her intercession grant us the grace to imitate her virtues, her steadfast patience, her love towards God and neighbor, and the grace which we humbly implore. Amen. Support this website! 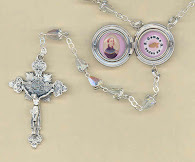 Check out the Padre Pio relic lockets and other items availible in the Mystics of the Church Gift Store! May God bless you for your good work inspiring souls to do good and to repent and love God. I offer everything I suffer, however small for the souls in purgatory and for a special intention, but now it is clear I need to pray for souls here more than I do so they will not suffer hell and so that the Heart of Jesus will not suffer so much. Happy feast day, Servant of God Edvige Carboni, pray and intercede for us. Amen. Thanks for the inspiring article! Lovely article ,great site for information on the Saint's and Blessed's. What a wonderful saint! Many thanks and blessings to the translater. Why so few men ? Most of these are women and reading some of the words they say are spoken to them in conversation with various saints etc - I can't help but wonder it's all their own. Hysteria. I don't mean disrespect. But some of it just sounds wholly ludicrous. And no one seems able to answer one question. Why does Mary seem to have more compassion than Jesus ? I am a believer - well a believer of sorts. Maybe I am a heretic. I do pray the Rosary too. But I find some of these things a little hard to believe. Jesus is not our Father. The three are One yet distinct. Nowhere in the Scriptures does it suggest Jesus as Father but the Son of God the Father. Jesus as Son of God makes us heirs with Him - children of God, brothers and sisters readied through His sacrifice for Heaven. You asked--Why is it that most mystics are women? Now there is a loaded question! It is interesting to note for example that looking at the Saints and Blessed’s of the church who are believed to have received the stigmata, women outnumber men by a majority of almost 7 to 1. I would say is because women are naturally more compassionate and have the ability to sympathize more deeply with others, and when we apply this to the idea of a victim soul suffering in union with Jesus for the conversion of sinners—well here perhaps we can see why God has chosen women much more often then men. But this is just my .02 cents. I do happen to believe that women, despite it being as they say 'a man's world,' are naturally stronger than men for the most part. What man could carry a child for nine months and give birth to same child through that paradox of suffering love. I am a man by the way. Raised by a strong Irish Catholic mother. Maybe that's something to do with it. As you seem to suggest in a fashion with the 'victim soul' - the women are more designed to 'give birth' to souls too - through suffering love. Why indeed did God choose a woman to give birth to Jesus and redeem the race. I love Mary - deeply. Were it not for Mary I don't think I could have remained with the Catholic Church. Seems a strange thing to say. That it should be because of Jesus. And it is really. Mary for me is all about Jesus and when the 'men of God' failed to show me the face of Jesus - or a recognisable one - Mary reminded me what He looks like and who He is. Imaging Him - Her soul magnifying Him. I always think how Mary is said to shine more brightly than a thousand suns at Fatima. Then there is the hymn, "Amazing grace...... " "When we've been there ten thousand years bright shining as the sun..... we've no less days to sing God's praise than when we first begun.... " To image the love of God is to shine as beautifully as the Sun/Son. I don't wholly doubt the experiences of these women here - but being human I do wonder at times about some of the things they say. Healthy scepticism ? I do enjoy reading about your site and thank you for the work you put in here. Did you all see that movie of Padre Pio made fairly recently ? It's about four hours long and an English version now available on youtube. It's beautiful - and the music wonderful too. Shows such a human, human being. Which is good. We can put them so high on pedestals at times they become unrealistic or recognisable. 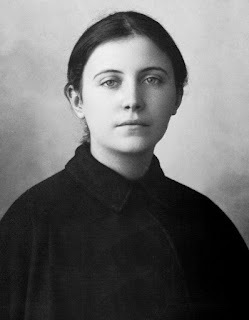 My patron Therese of Lisieux said, I think, near beginning of her "Story of a Soul," that if the saints were come back to earth they would not recognise themselves in so much of what had been written about them. Maybe you'd include a great friend of mine, "Blessed Maria Gabriella Sagheddu" of Unity. "Ut Unum Omnes Sint" - that they be One. She is not so well known but wonderful - offering her beautiful young life for Unity of Christians in a Trappist monastery in Italy. Hope I have no offended anyone. Regarding Jesus as 'Father'. Seems I am wrong. The concept of Trinity can be very confusing. Elizabeth acknowledges the mother of her Lord. As Jesus is the son of David - he is also the Lord of David. I have to read up some more on this one. In addition to Sacred Scripture, there are other instances where the Second and Third Persons of the Holy Trinity are referred to, or there is an inference of, "Father." Come, thou Source of all our store! Come, within our bosoms shine! Also, there is an order in the Church, approved by Pope Benedict XVI, and the name of it is called "Sons of the Most Holy Redeemer." So, yes, God the Father is a distinct Person of the Blessed Trinity, but the Holy Ghost and Christ share His Fatherhood in a manner of speaking and are referred to by the Church as "Father" in the proper setting. Although obviously Christ is not God the Father, Sacred Scripture refers to Him as a "father" in a very famous passage. 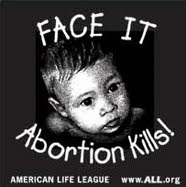 See Isaias 9:6, et seq: "For a child is born to us and a son is given to us, and the government is upon his shoulder. And his name shall be called Wonderful, Counselor, God the Mighty, the Father of the world to come, the Prince of Peace." This answer is directed to the one that says, Jesus is not the Father. God The Father promoted Jesus, when he rose from the dead. Matthew 28:18. 1st John also states in the 2nd chapter that Jesus is our Father, & the propitiation for our sins. God was inside of Christ. 2 Corinthians 5:17. Jesus said that if we have seen him, we have seen the Father! John 14:8-11 Jesus said, I & the Father are one! John 10:30. Glory to God The Father! Thank you Glenn for this wonderful article! You have no idea what a wonderful experience it is for me to read about these saints, so little known, but what stature for us to imitate..! Frequently I have to visit these web-site to see what is new, or what I may have missed... It never ceases to draw me closer to the objective of our lives:growing in holiness which is the purpose of our being here...! Thanks for your kind comment---I'm glad to hear that you liked this article! She has been declared Venerable today. Thanks for such a complete history of her life. It is very edifying. It is great to hear from you. Thanks for your comment!